Have your found the perfect wedding veil for your wedding gown? Many brides choose a veil as an afterthought to her wedding dress. But looking for a wedding veil while you shop for your gown makes a lot of sense. As you try on wedding gowns, try on a coordinating veil as well. The wedding veil may finish off the gown and help you in your dress selection. Consider how you will wear your hair before you purchase your wedding veil and headpiece. Be sure the headpiece works well with your hairstyle plans. Will you wear your wedding veil on top or on the back of your head? Try it on where you will wear it on your wedding day. Where you wear it will affect the length of the veil. And remember, the length of your veil should not end right at a focal point of your wedding gown. It should come to just above or just below the focal point. Shoulder length -Great for informal gowns and brides with shorter hair. This length may add fullness to a narrow face and height to a shorter bride. Elbow length – Good for informal gowns without a train. This length will draw attention to the waist of your wedding dress. Ideal for gowns will a full skirt or ornamented waistlines. Avoid if you are wide in the waistline. Fingertip length – For formal and semi-formal weddings, this veil works well for most wedding dresses. 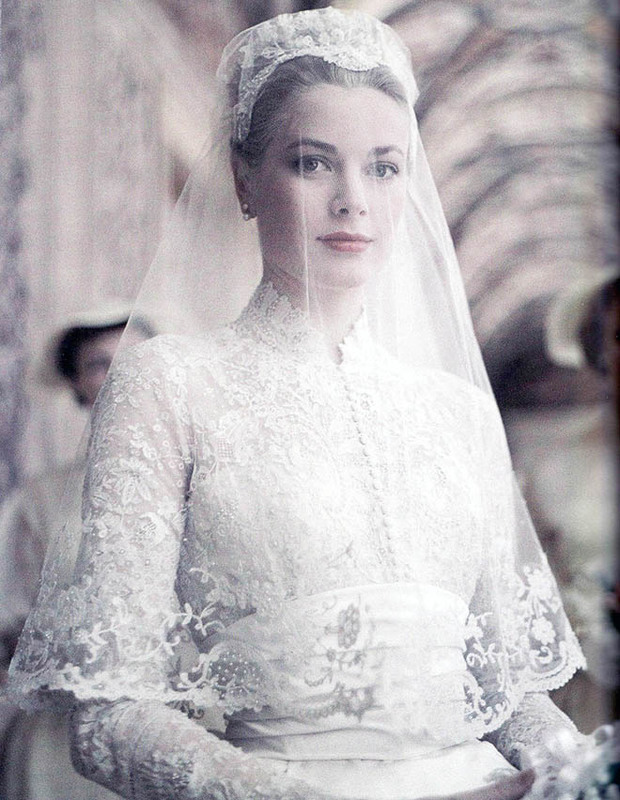 Chapel length – For formal weddings, this veil is about three yards long. This length is good for tall or fuller figure brides. 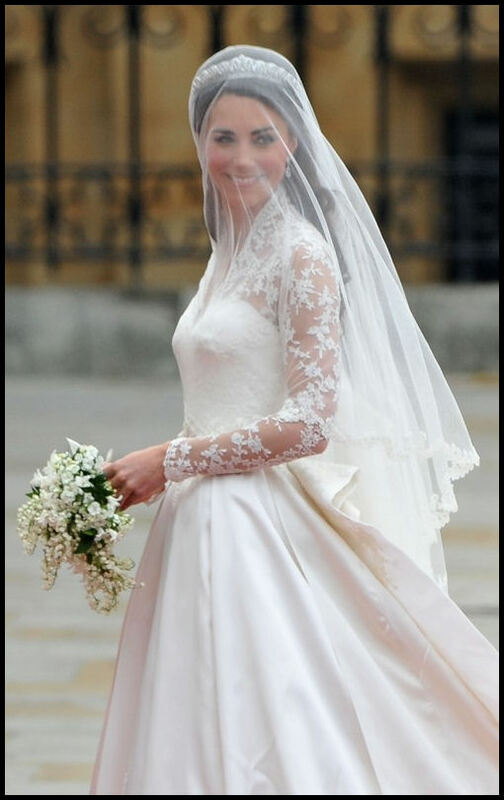 Cathedral length – Full length veil for formal wedding gowns with long trains. This veil should be longer than your dress train. Choose a bridal veil color that matches closest with your dress. Diamond White – Slightly off white. This veil matches white silk dresses, or slightly off white gowns of any fabric. Ivory – Cream colored veils for ivory or beige wedding gowns. In case of a mishap involving your bridal veil, be sure to only spot clean the stain. The finish of the tulle fabric that most veils are made of is usually altered with thorough cleaning and may have a dimpled appearance. After your wedding, have your veil preserved with your wedding dress. It is an important part of your wedding apparel and will be as treasured as your gown. 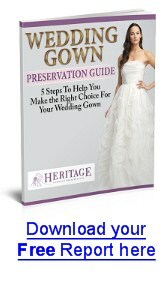 At Heritage Garment Preservation, we provide tender loving care for your wedding dress and veil. We hand clean most gowns and always spot clean veils to preserve their natural beauty. Veils are included with our wedding gown cleaning and preservation at no additional charge. Get your instant wedding gown cleaning Estimate or call 866-268-4696 to talk to one of our friendly staff members.